Feed to hardworking, pregnant or lactating dogs. With real chicken as the #1 ingredient, this Pro Plan formula delivers extra protein, fat and calories. 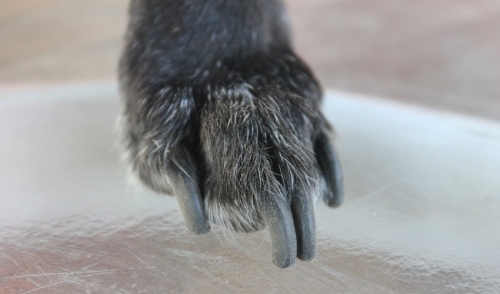 It is also specially formulated to bolster your dog's key protective systems - the immune system, digestive system and skin & coat systems - and deliver exceptional nutrition. Pro Plan Adult Dog Food Large Breed 34 lb. 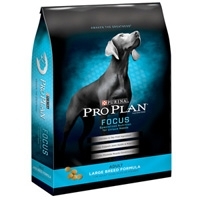 Pro Plan Focus Large Breed Dog Food is specialized nutrition formulated to meet the unique dietary needs of large breed dogs (weighing 50 lbs. 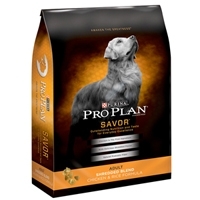 Pro Plan Dog Senior 18 lb. Pro Plan Focus Chicken & Rice Senior Dog Food is specifically formulated to meet the changing needs of senior dogs (7 years and older). Pro Plan Dog Sensitive Skin & Stomach 18 lb. Contains high levels of omega fatty acids and a unique blend of ingredients for dogs to help reduce skin irritation and itching. Pro Plan Dog Weight Management 34 lb. 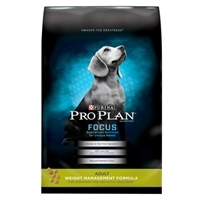 Pro Plan Focus Weight Management Dog Food is specialized nutrition for maintaining a healthy weight for overweight or less active adult dogs. Natural Lamb & Rice Formula for adult dogs is made with all natural ingredients with added vitamins and minerals. This formula is specially formulated to bolster your dog's key protective systems - the immune system, digestive system and skin & coat systems - and delivers exceptional nutrition with real lamb as the #1 ingredient and no lamb by-products. 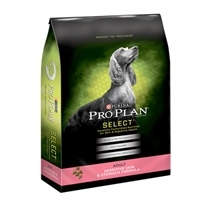 Pro Plan Shredded Blends Lamb & Rice Dog 18 lb. 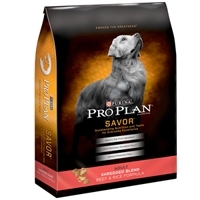 Pro Plan Savor Shredded Blend formula offers the nutritional extras you've come to expect from Pro Plan. Complete nutrition with real chicken as the #1 ingredient, this Pro Plan Original Chicken and Rice Formula is specially formulated to bolster your dog's key protective systems - the immune system, digestive system and skin & coat systems - and deliver exceptional nutrition.